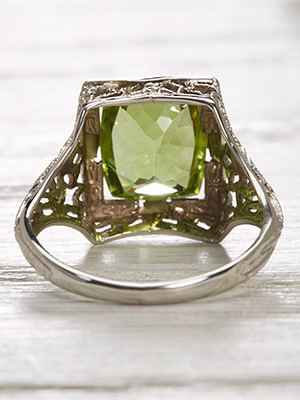 This antique peridot cocktail ring will capture you in its mesmerizing web. 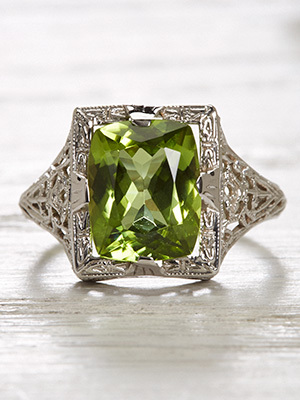 When sunlight, dew and summer blades of grass combine, they emit the same lustrous green as this antique ring's peridot. This lush gemstone is set in a square mounting that lends geometric interest. 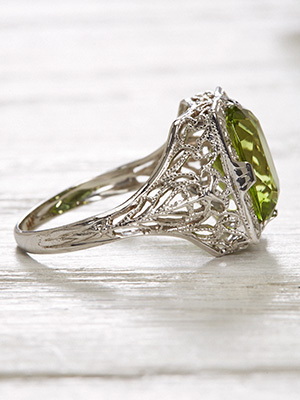 A filigree band fancies up the finger with lacy cutwork that spins around the peridot and down the shoulders. Details: Antique. Circa 1930s. 14k white gold. 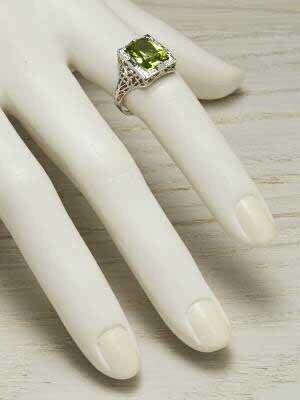 Cushion cut peridot; 3.29 carats. 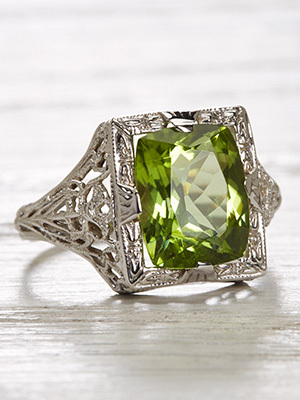 Special characteristics This circa 1930s cocktail ring features a cushion shaped peridot set in a 14k white gold pierced filigree mounting.